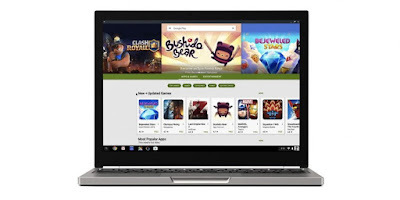 Google started rolling out Play Store and Android apps for Chromebooks back in June last year. Now Google has listed 83 Chromebooks that are planned to get Android apps. Later it expanded to more Chromebooks – Dell Chromebook 13, HP 13, Samsung Chromebook 3, and ASUS C301SA. Now it has listed Acer Chromebook R11 (CB5-132T, C738T), AOpen Chromebox Mini, AOpen Chromebase Mini, Asus Chromebook Flip C100PA, Google Chromebook Pixel (2015) and Samsung Chromebook Plus supports Android apps in stable channel. Acer Chromebook R13 (CB5-312T) and Asus Chromebook Flip C302 adds support for Android apps in Beta channel.